Clow International Airport, which serves as a cover for Clow UFO Base. First Lady Melania Trump evicted Skepchick and the Center for Inquiry from all Illuminati controlled UFO bases, including Bolingbrook’s Clow UFO Base. Both organizations have represented the skeptical movement to the greater interstellar community since 2013. She then gave both organizations four hours to evacuate their consulates. The staff then quickly, but orderly, started removing portable hard drives and shredding all documents. They then drenched the entire interior of the consulate with cat urine. “I always wondered why we kept gallons of cat urine on site,” said an anonymous staffer. Once the building was evacuated, Kelly and Watson then detonated firebombs, incinerating anything left in the building. Thirty minutes later, CFI president and CEO Robyn E. Blumner called and asked about the evacuation. The staff, now panicking, started smashing their computers, and setting bonfires to destroy their papers. During the initial chaos, McNeil reached around the movement’s “deep rifts” for help. 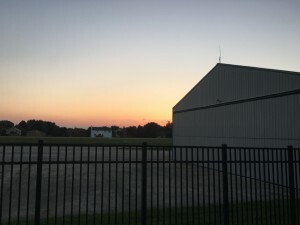 The staff of both embassies have relocated to Hub 35 UFO Base, a New World Order affiliated base located in Rochelle, IL. Many staff members wished for the conflict between the Illuminati and the New World Order to end. “They don’t have to work together, but they could at least stop trying to destroy each other. Humanity loses when they fight,” said an anonymous staffer. Sources close to Mrs. Trump say she will announce the formation of a new Illuminati aligned skeptical organization by mid-April.